Laguna Beach Christian Retreat is located in Panama City Beach, Florida, serving Christian groups and families from all over the United States. Our campus is on the sugar white sands of the Gulf of Mexico on the west end of the beach. It’s a quiet, uncrowded area of which helps to provide a conducive spiritual atmosphere for ministry. The heart of Laguna Beach Christian Retreat is to serve the needs of churches, families, and individuals so they may experience the love of the Father through His beautiful creation at the beach. While at camp, we pray that young and old will encounter Jesus Christ as their Savior, and grow in relationship with Him and other believers. We have been coming to Laguna Beach Christian Retreat for the last 22 years and plan on coming back for the next 22 years. The facility meets our needs perfectly whether we are running a conference of 500 or 1300. The service is unmatched in our experiences throughout the country. The Laguna Beach staff can best be characterized by refreshing friendliness, precise organization, and sacrificial service. Whether it be the crew in the front office, food service, the gift shop or maintenance...they are always ready to serve us and often anticipate our needs before we ask them! They are truly amazing. In addition to all else, the beach is utterly beautiful and kept in pristine condition. What a wonderful place to show students the attributes and work of our great God as revealed through His creation. I cannot give a higher recommendation for Laguna Beach Christian Retreat! I thank the Lord for a facility and faculty like Laguna Beach Christian Retreat. The summer wouldn’t be the same for the youth of First Baptist Sevierville without this great Retreat Center. For over 20 years we have annually had teenagers lives rocked for the cause of Christ. 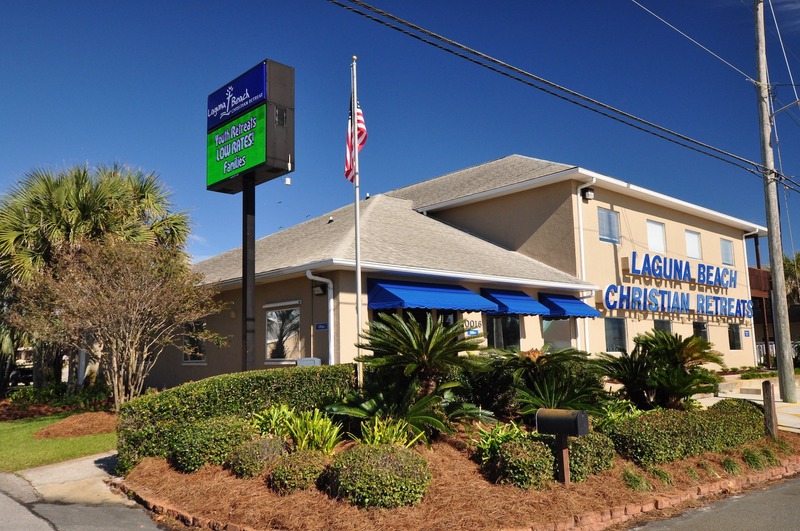 The best part of Panama City is located on the west side called Laguna Beach Christian Retreat! Global Youth Ministry has been bringing groups to Laguna Beach Christian Retreat for years and plan to return for many years to come! The staff at Laguna has taken great care of us and has helped make our experience a great one. The food is excellent! The location is great! Thanks for always taking such great care of us each year! Champion Forest Baptist Church has been doing our High School Camp at Laguna Beach since 1997. There isn't a better place to take your students for an amazing summer camp experience! We see lives changed there every year, and our students can’t wait to go back! As our group has grown, Laguna Beach has done an amazing job making sure we have the best camp experience possible. Thanks so much for all you do!